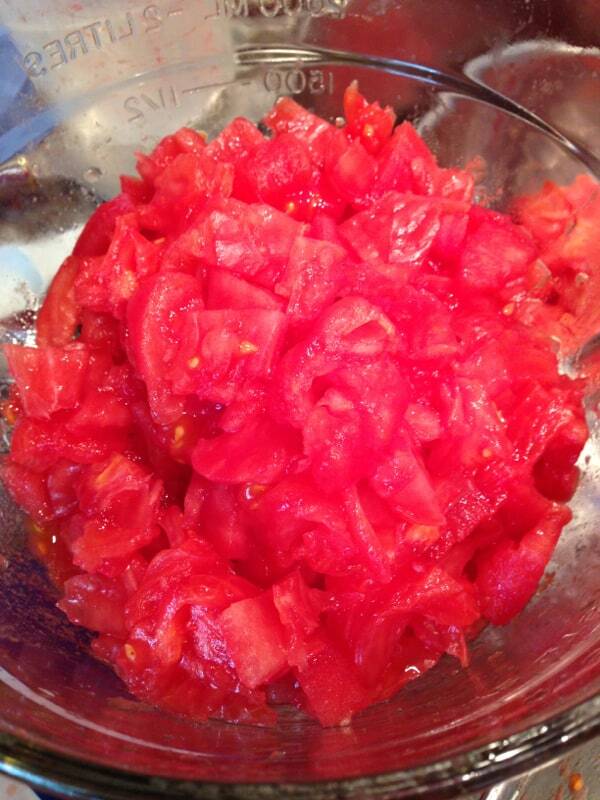 This is my recipe for making a great tasting tomato salsa. It's easy to make and even easier to eat. Makes about 5 x 500 ml mason jars. 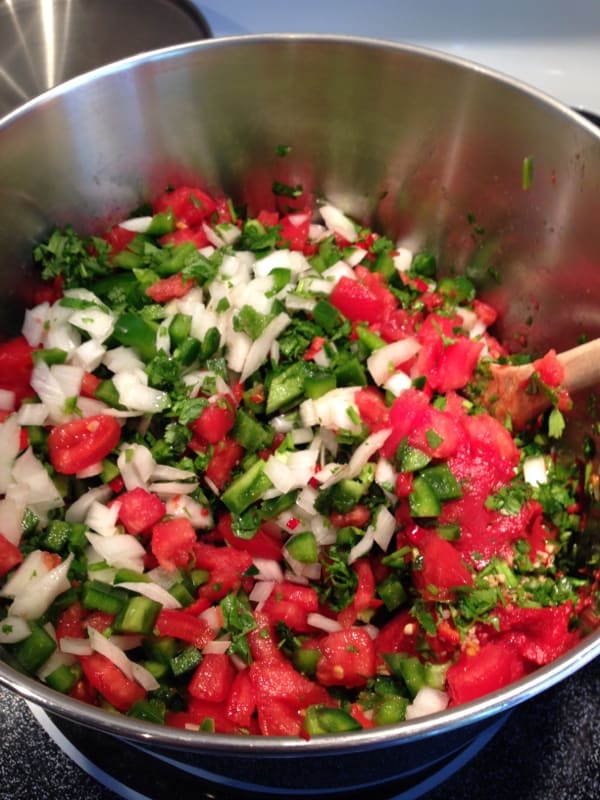 The tomatoes, peppers and onions can be chopped to the size you want depending on how chunky you want the salsa to be. Blanch, peel, seed and chop tomatoes. When you chop the hot peppers up you should wear gloves. Combine tomatoes, onions, green pepper, jalapeño pepper, garlic, tomato paste, vinegar, cilantro and cumin in a large stainless steel saucepan. 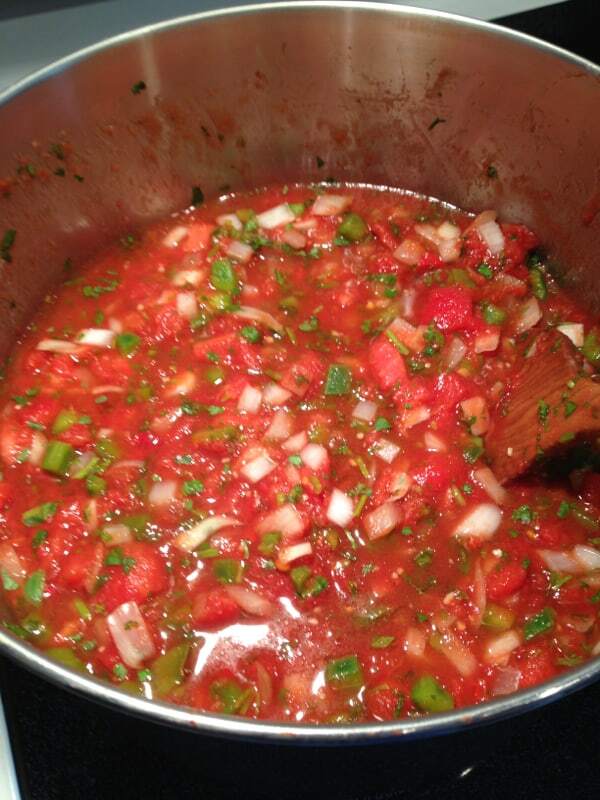 Bring to a boil; boil gently, stirring occasionally, until salsa reaches desired consistency, about 30 minutes. Once you have all the ingredients cooking you can prepare the jars. Place the mason jars on a rack in a boiling water canner; cover jars with water and heat to a simmer (180°F/82°C). When the salsa is ready you can remove one jar at a time and ladle the salsa into the jar to within 1/2 inch of top rim. Once you have enough jars to fill you canner you can screw the tops on and put them into the water. Process for 20 minutes once the water is boiling. Remove the jars from the water and carefully set them aside until they are cooled. * Note on the hot peppers. 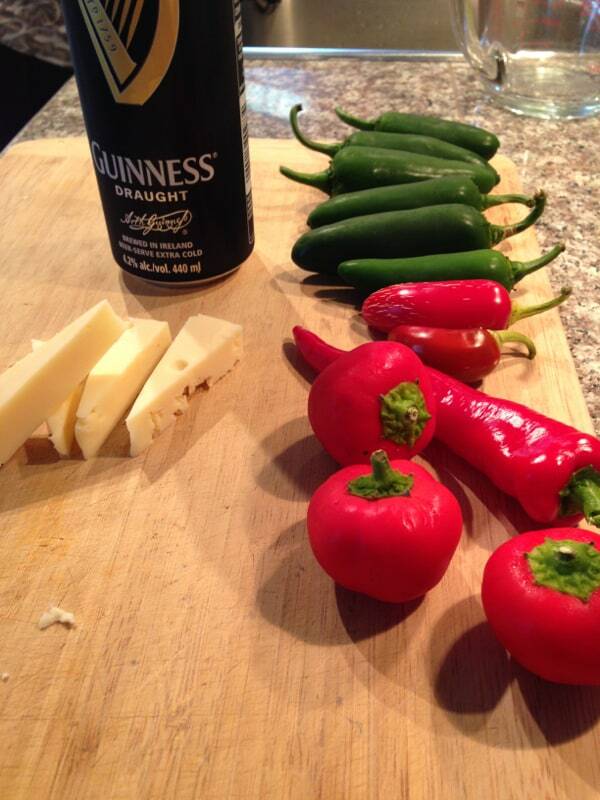 For hotter variations I use the following peppers. Hot Portugal, Cayenne, Hot Cherry, Hungarian Wax. You will need to experiment to find out what combo works for you. For a hot salsa I use the following: 4 jalapeños, 2 hot portugal, 2 or 3 hot cherry and 1 cayenne. 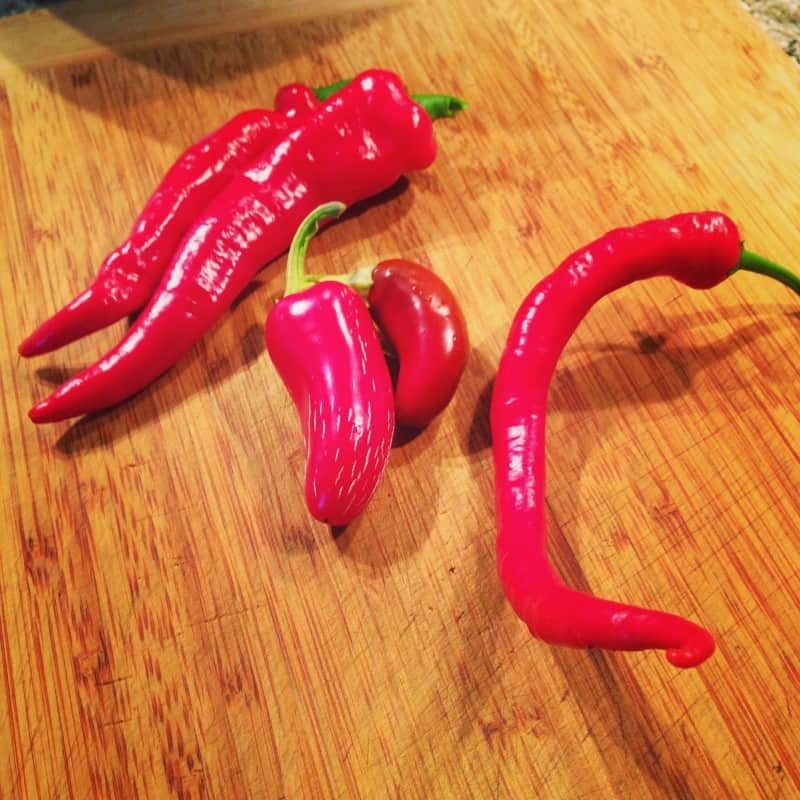 Hot peppers: Hot Portugal, red jalapeno and Cayenne. Jalapeno, red jalapeno, hot portugal and hot cherry. Oka cheese and a Guinness for lunch! All the ingredients mixed for the salsa. Salsa after cooking. Ready to put into mason jars.